40-Piece Roaster Flatware Set Just $34.99! Down From $200! You are here: Home / Great Deals / Amazon Deals / 40-Piece Roaster Flatware Set Just $34.99! Down From $200! Don’t miss this deal from Amazon! Get a Cuisinart Rooster 40-Piece Flatware Set for only $34.99! Down From $200! PLUS FREE shipping with Amazon Prime or for orders over $25! 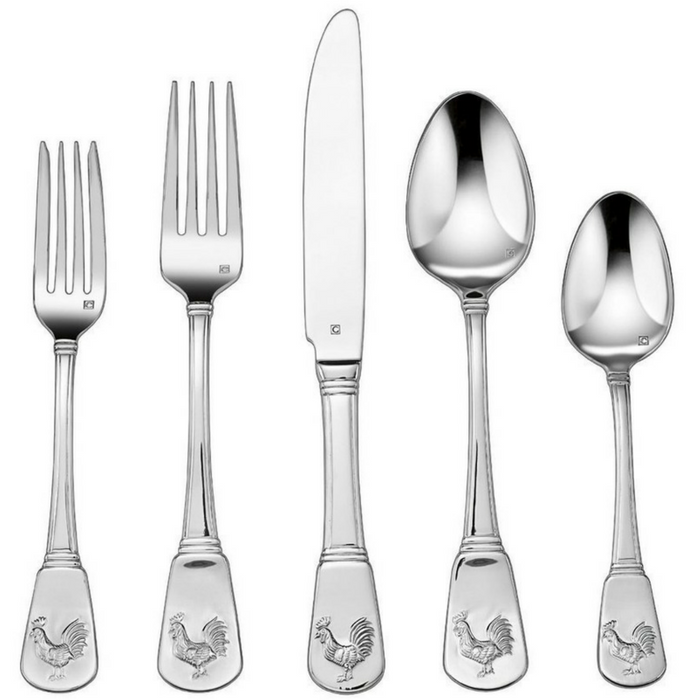 The perfect starter set, Cuisinart Rooster 40-Piece Flatware Set handcrafted of the finest heavy-gauge stainless-steel with classic styling. Bring a new level of simplicity and sophistication to your table with this flatware. This 40-piece set includes eight of each: salad forks, dinner forks, dinner knives, dinner spoons and teaspoons.